There’s plenty of potential in Topshelf TTDI, a neighbourhood French restaurant with quirky industrial-style touches, colourful paintings and an open kitchen. 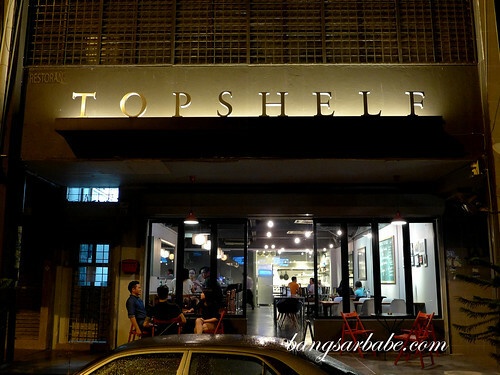 rif and I were invited to dinner at Topshelf, to sample some items from the new menu prepared by chef and owner Christopher Yee. It was my first visit so I didn’t know what to expect, but I was pleasantly surprised. We settled in with a glass of pinot grigio and a basket of fresh crusty bread. 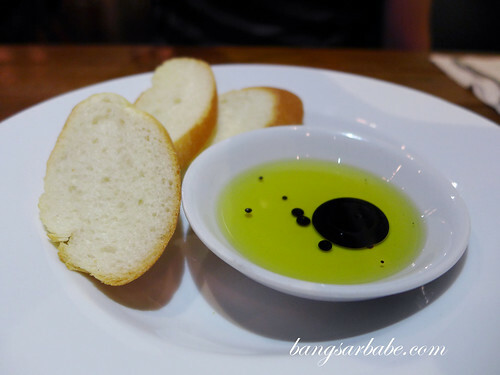 And with it, a saucer of olive oil and balsamic. 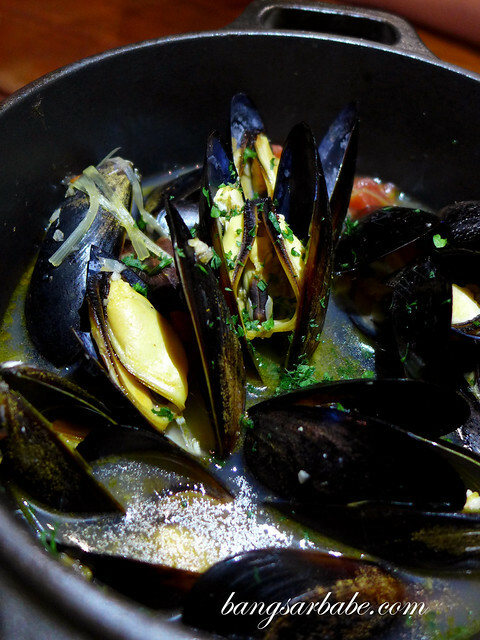 The menu offers classic French fare and a little bit of Italian food, alongside cocktails, wines and bar staples. 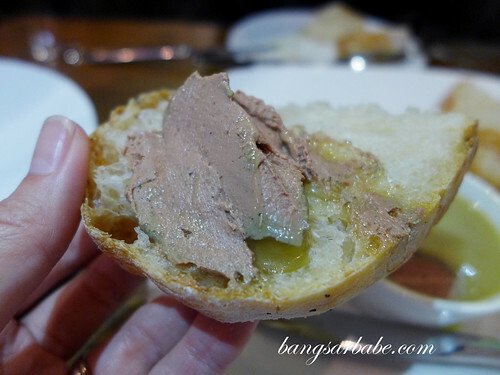 Chicken liver pate (RM23) was luxuriously creamy and as rustic as should be. 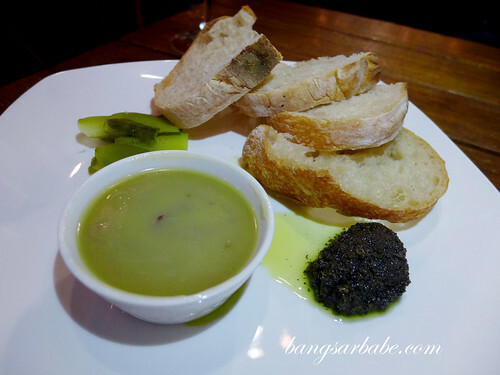 This came with a side of olive tapenade, pickles and toast which I rather enjoyed. 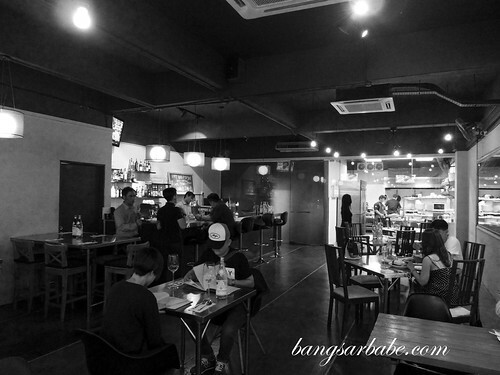 I’m a big fan of pate and Topshelf is one of the few places in KL that does it well. 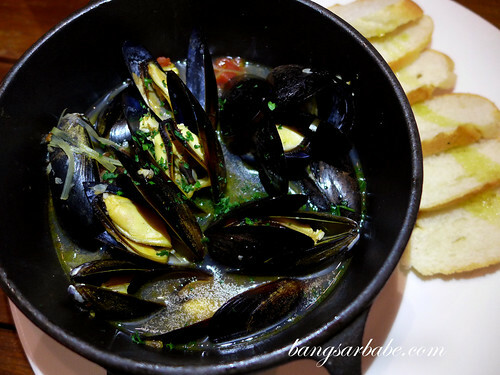 Our second starter of moules mariniere comprised glossy black mussels in a delicious wine-based broth with shallots, coriander, chilli and herbs. 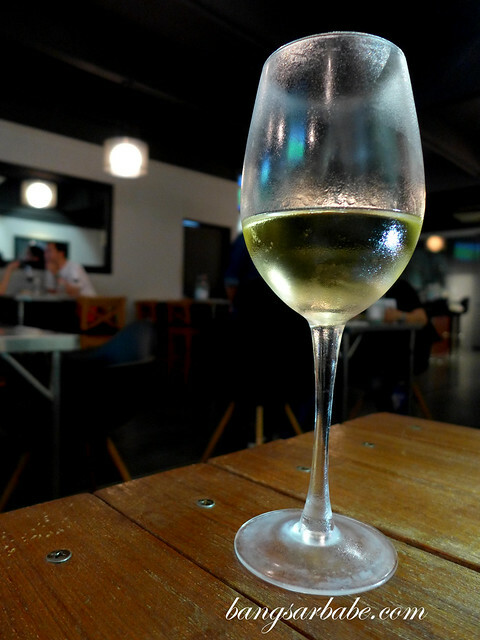 I would have preferred more wine in this, but it was nonetheless delicious with crusty bread slices. 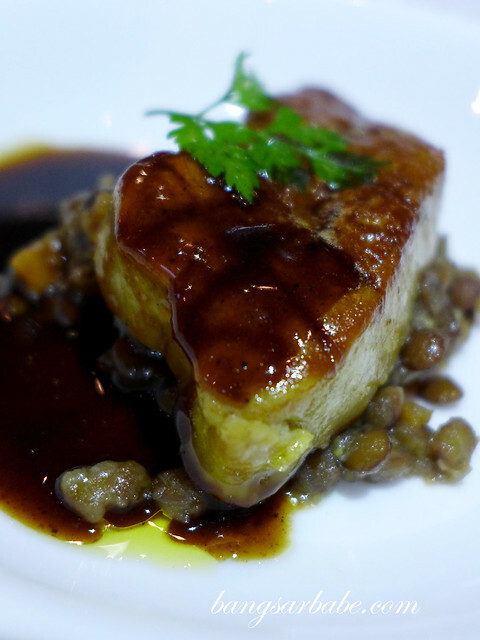 The Foie Gras (RM38) was less stellar. This was a tad overdone so the centre was neither pink nor creamy as should be. Pity though, for I thought the braised beans and chocolate jus accompaniment would work nicely with this. 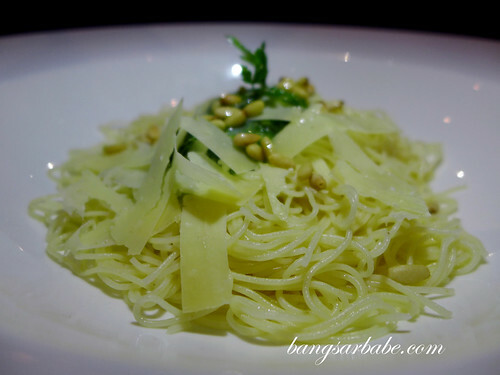 Pesto Capellini (RM30) was light and tasty – topped with shaved parmesan. The pasta boasted a toothsome texture and the pesto had a nutty, green flavour and a terrific aroma. 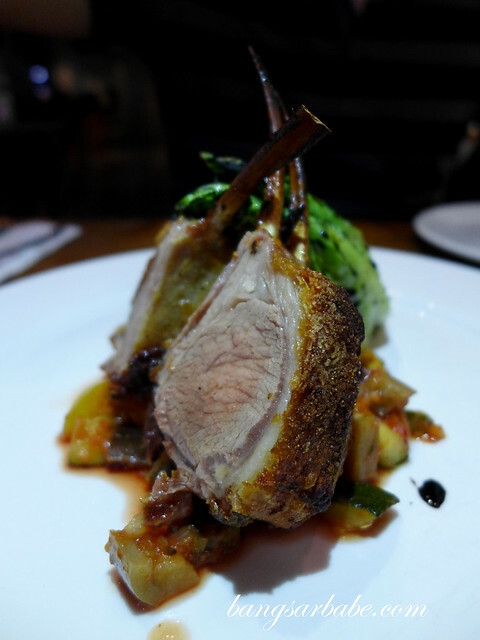 Also delicious was the Roasted Rack of Lamb (RM38), bolstered by colourful ratatouille and chargrilled lettuce. 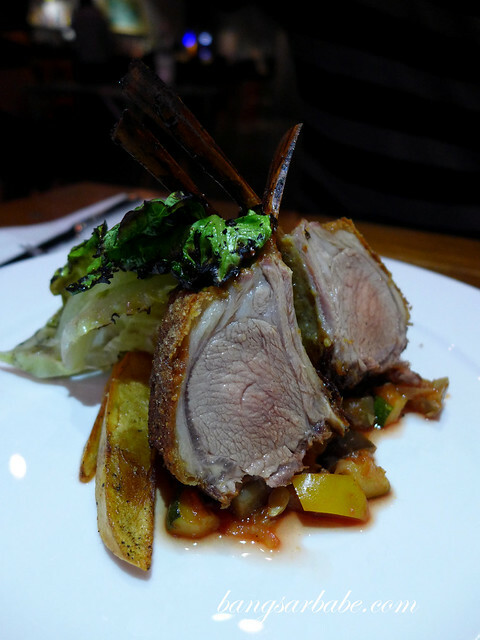 The lamb was cooked precisely as I liked – blushing pink at the centre – and had an incredibly crispy crust. 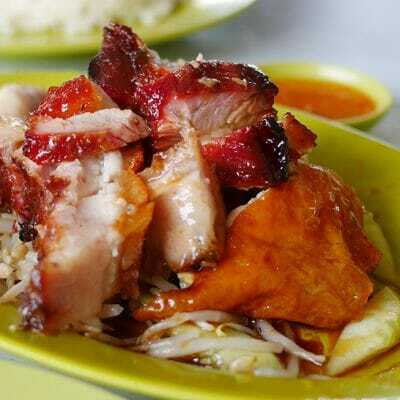 This was served with simple lamb jus, to allow the flavour and juiciness of the meat to stand out. 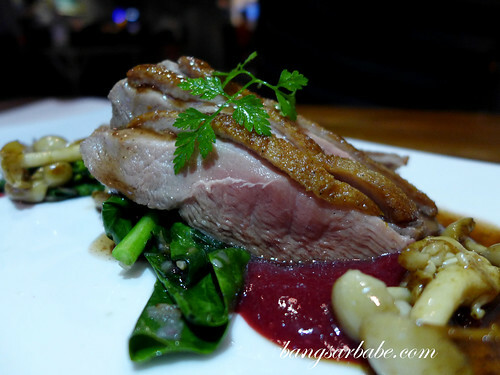 Roasted Duck Breast (RM38) was one of their specials on the chalkboard, and it was one of the better duck dishes (French style) I’ve tried. 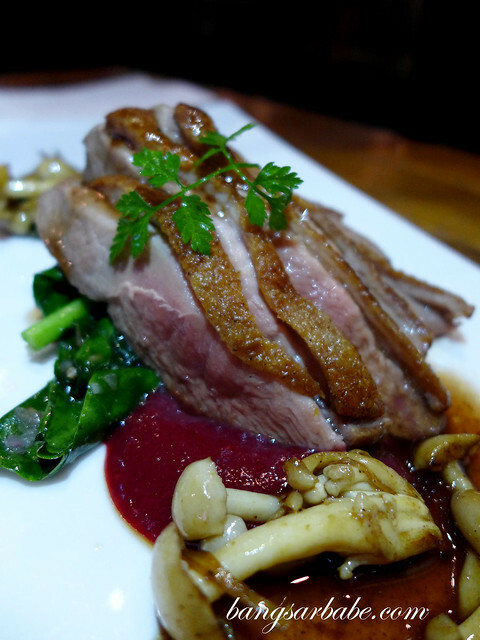 The duck breast slices were paired with cranberry sauce and cabbage, braised with red wine and raisins; this I thought, worked well to balance the gamey flavour of the meat. 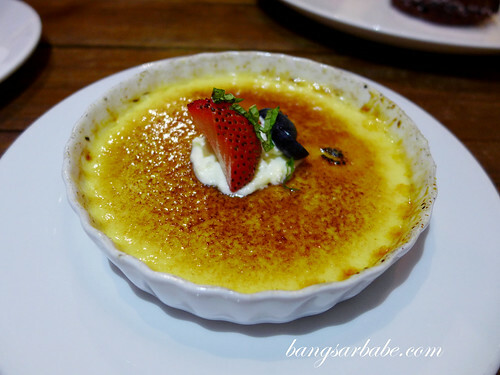 The crème brulee (RM22) is by far my favourite of its kind among all the F&B establishments I’ve dined at. 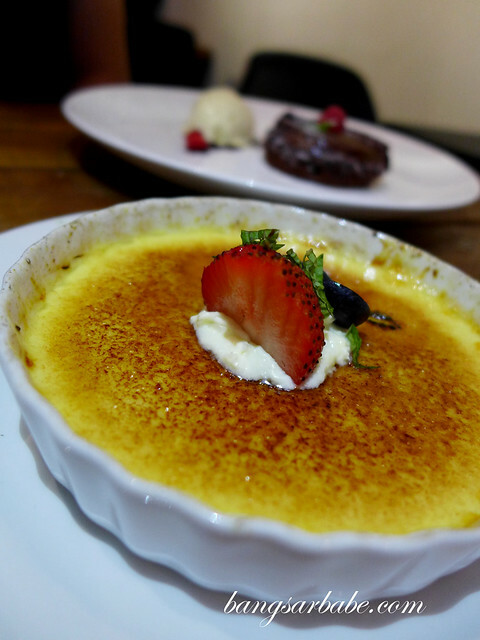 This silken buttercup-yellow custard was made using French imported cream and topped with a thin layer of glazed sugar crust which cracked at the tap of my spoon. Picture perfect, great proportion and lovely texture. 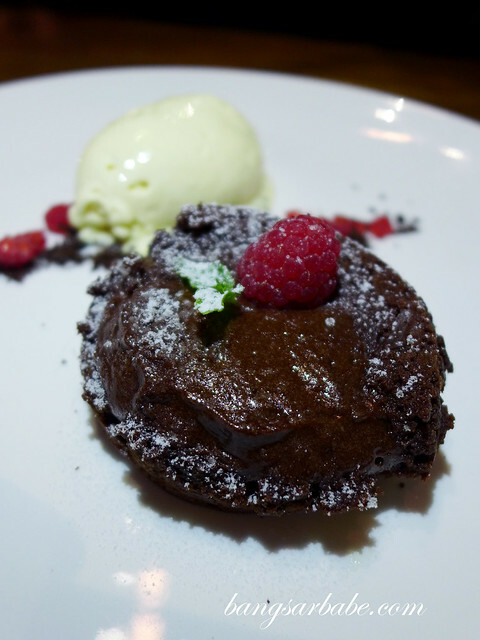 Chocolate Fondant (RM24) was dense and rich; baked with 80% dark Valrhona chocolate and served with house vanilla ice cream. I ended dinner on a high note and left the restaurant with good feelings. Will definitely come back for more, especially the desserts! 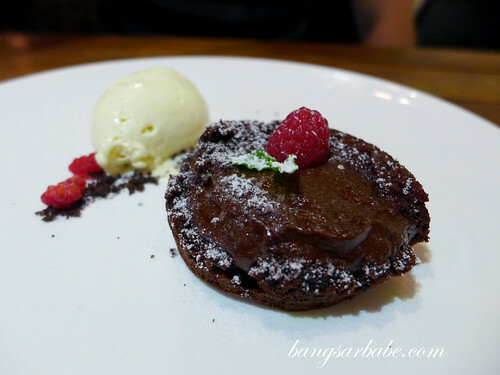 Verdict: Solid mains and good desserts.